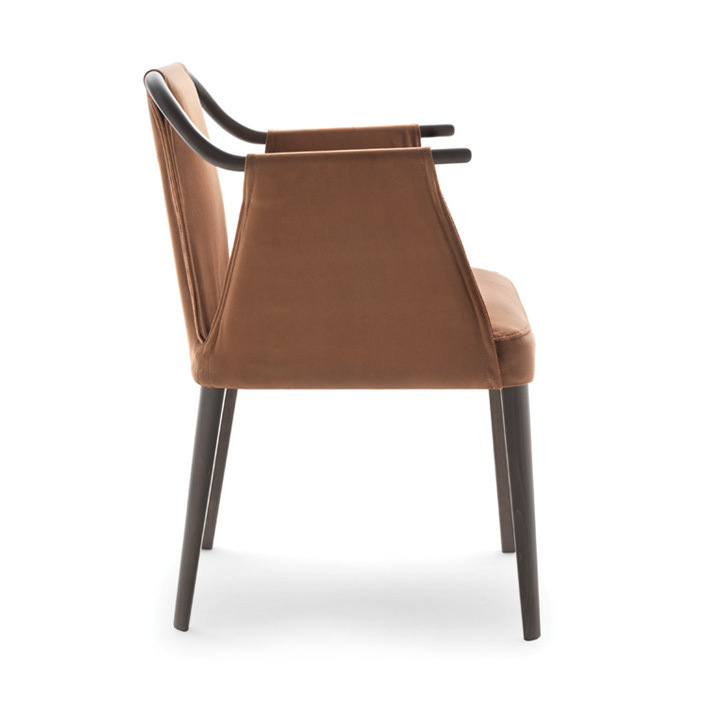 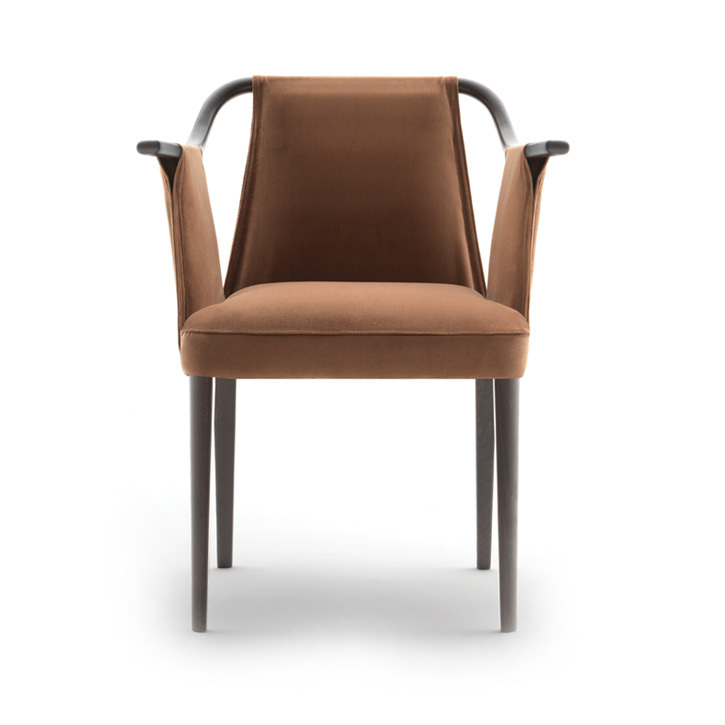 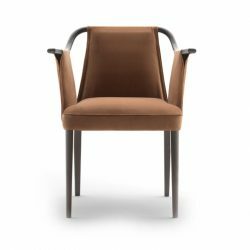 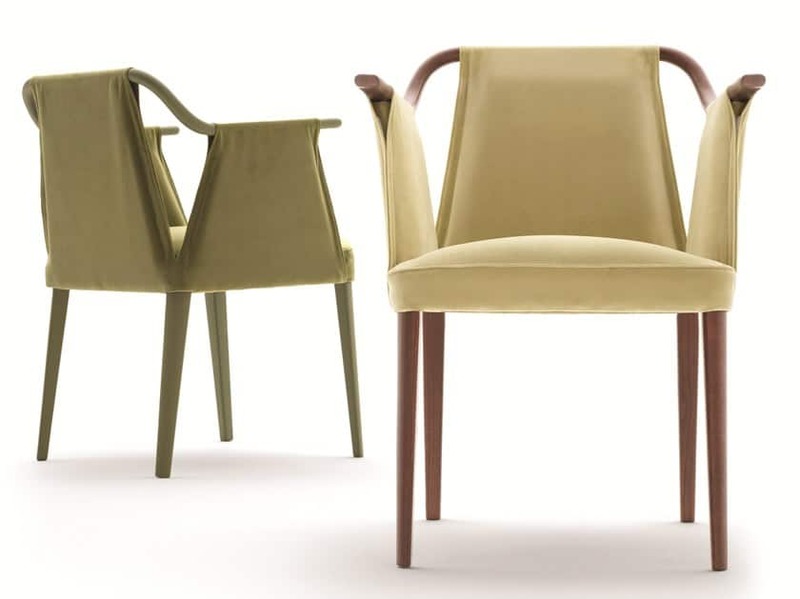 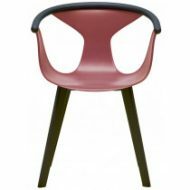 The Sayo Armchair is made of a solid Beech Frame with full upholstery in fabric or Leather. 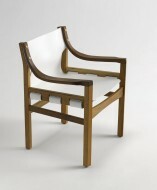 Arm Panels Looped over the exposed wood. 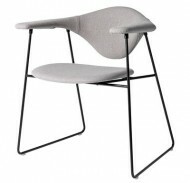 Due to the complexity of the chair extra fabric may need to be sent for testing.